Ten Trails is located just a few minutes’ drive from the City of Enumclaw where residents can find quaint gift shops, bakeries, coffee bars, restaurants, clothing stores and more. During the summer months from early July to late August, the city hosts “Sundays on Cole Street,” a outdoor, open market to promote its local businesses. Sundays of Cole Street is more than just an outdoor market, however. In addition to vendor tents, that sell hand-crafted jewelry, crafts, wood project, vintage items, artwork and skincare, they also have a performance stage featuring live music. 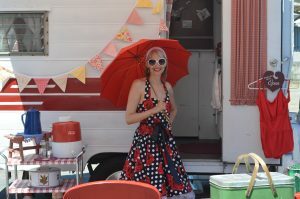 On certain Sundays, visitors can tour vintage trailers. After enjoying all the fun at Sundays on Cole, take the family to one of Enumclaw’s many restaurants. 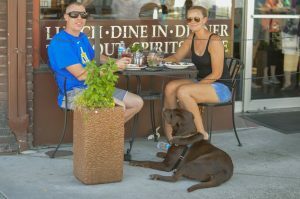 Downtown Enumclaw is full of places to eat, offering a wide variety of fare. Don’t miss the historic Mint Restaurant and Ale House, with it’s 28 beers on tap, as well as Il Siciliano, an quiet Italian restaurant off the main road which tempts passersby with delicious scents of garlic and simmering marinara sauce. With so many things to do nearby, Ten Trails residents will have an easy time finding ways to spend their summer months! Don’t miss your chance to experience this great local event before summer’s end!